Over 2000 of the most innovative suppliers will be ready to meet you in person to demonstrate the latest ground-breaking technologies and help collaborate on your packaging challenges. 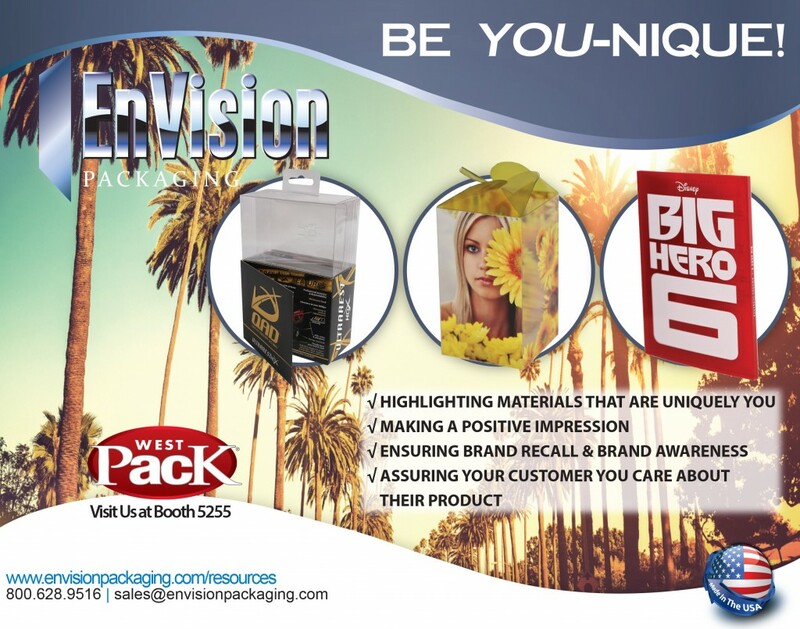 EnVision Packaging is a leader in creative plastic folding cartons and packaging. Stop by our booth 5255 to see our exciting new products and how we can design an innovative outer carton for your products.